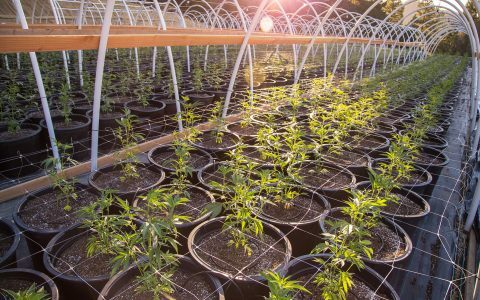 Most people have heard of caviar buds—potent cannabis flowers that are dipped in oil and coated in kief. 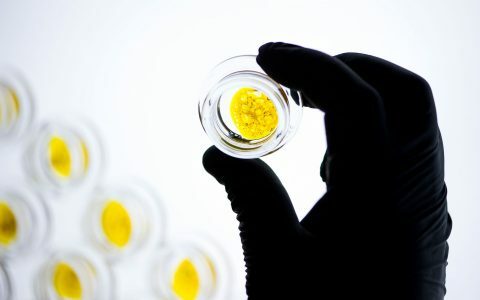 And some Colorado companies are taking this concept to an entirely new level—they’re rolling caviar buds into joints that will light up a whole party. Headed to a party and need a boost? I tried five of the most popular caviar pre-rolls in Colorado. All of them were amazing, but they had very clear differences. 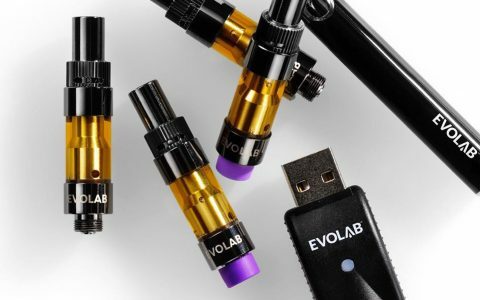 Follow our guide to help you pick out the perfect caviar pre-roll for your elevated needs. 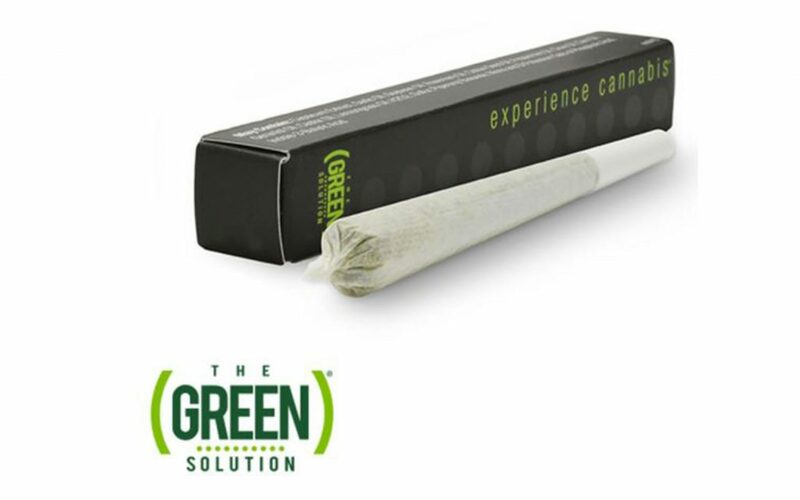 The Green Solution has done it again: They’ve come up with the most potent caviar pre-rolls available in Colorado. At a whopping 1.75 grams, Caviar Cones are packed with about 780mg of THC per joint and more than 45% total cannabinoids. They taste great, burn even, and will get you and seven of your friends as high as kites. The one downside: The Green Solution’s Caviar Cone is so thick with oil, it melted down and clogged the paper filter tip around two thirds of the way through. 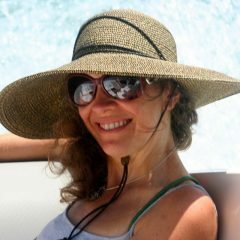 If this happens, just cut off the end of the tip to get things rolling again. The Caviar Cone costs $39.95, which works out to five cents a milligram. 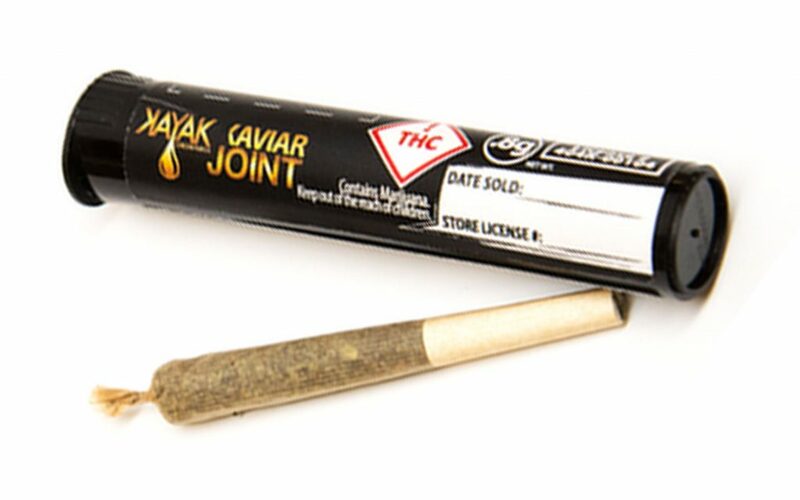 The Caviar Joint from Kayak Cannabis is a high-quality, strain-specific pre-roll that’s a great value for the price at around $22 each. I tried one with Chemdawg bud, hash oil, and kief—it was delicious! The flavor was delicious and it hit hard, with a dab-like cough at the end. When you shop for a Caviar Joint, be sure to check the potency. It can vary between 30—51%. Kaviar specializes in all things, well, caviar. 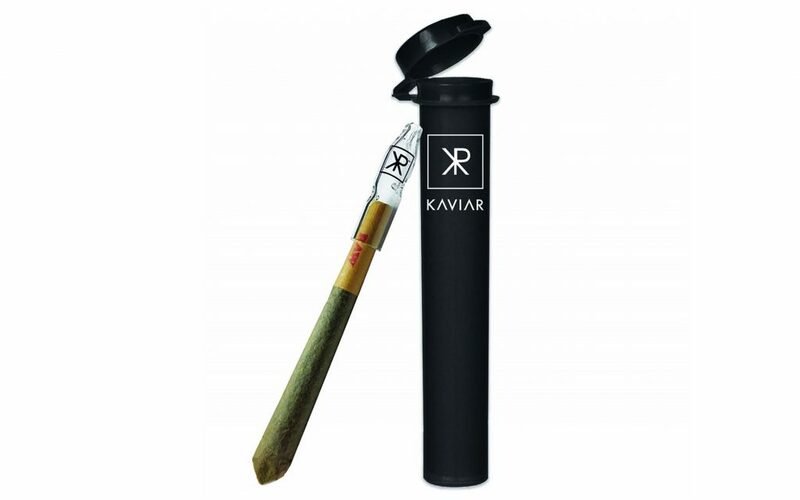 Their Kaviar Cone is a strain-specific pre-roll with a classy reusable glass tip. 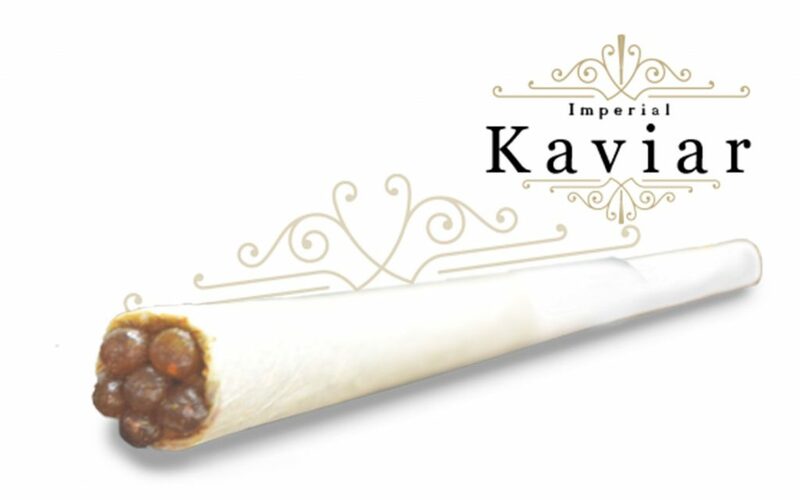 At 500mg for $19, Kaviar Cones are also cost-effective. However, I noticed that the hash oil was so strong, it obscured the flavor of the bud. Despite the abundance of oil, this cone burns very evenly. The Flower Collective’s Bubble Joint isn’t technically a caviar pre-roll, but it’s close enough. Each joint is packed with 0.12 grams of strain-specific bubble hash and 0.58 grams of flower from the same strain. The joints contain up to 300mg of THC and cost around $18. 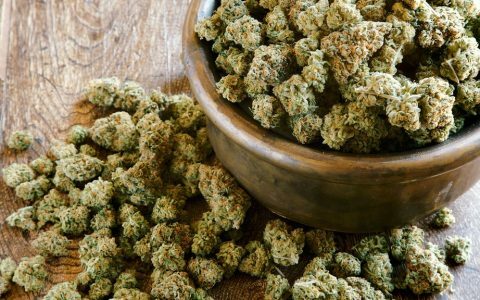 The Bubble Joint is my personal favorite on this list, despite the higher price (seven cents) per milligram. I was impressed with the Bubble Joint’s great taste and even burn. Bonus: the funny facts on the plastic child-proof container are hilarious! 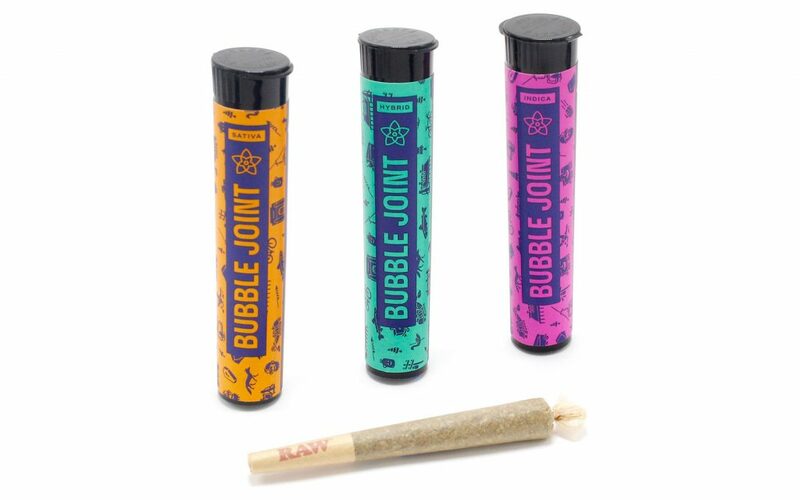 Blunt Lyfe packs their Imperial Kaviar Cone with one gram of flower, a half gram of concentrate, and 0.1 grams of kief. The cone I tried had a total of 310mg of THC. Although this creates a potent joint, it’s a little too sticky—the dense concentrate makes this pre-roll difficult to light and hard to pull on. Blunt Lyfe puts a protective wrapper on the burn end to keep the concentrate-soaked joint intact. Be sure to remove this wrapper before you smoke it—it does not burn well. Blunt Lyfe also makes a caviar pre-roll called Dusted Duchess that is coated in shatter and dusted with kief.